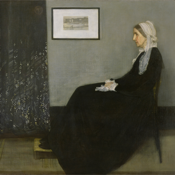 James Abbott McNeill Whistler was originally intended for a career in the army and studied at West Point from 1851 to 1854, then worked for a year as a Navy map-maker before going to Paris to take up art instead. He met Courbet and Fantin-Latour, and joined their group of Realist painters. He copied paintings in the Louvre and fell in love with Japanese art, which was then a novelty. In 1859 he settled in London, where he began painting in a style which combined these influences rather than following the English narrative convention. He strove to present a harmonious composition of tone and color, doing in paint what a composer might do in music. 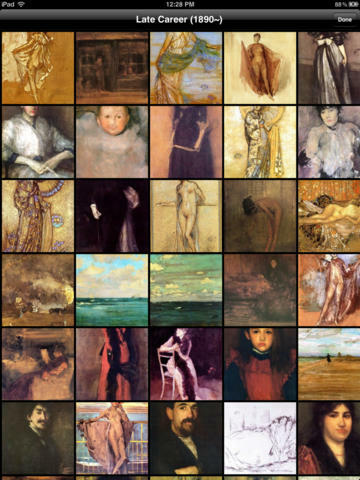 Download Whistler HD now and have the best collection of Whistler's art works at your fingertips.